When Dr Mike Gill’s dad was diagnosed with incurable lung cancer, it was a life changing moment for both of them. For his dad, Barry Gill, it was a reason to start living again. Barry had shut himself away after losing his wife of 37 years. The former Merchant Navy officer and rigger took up old hobbies and started seeing his friends. He died within 18 months of his diagnosis at the age of 66. For Mike, it was the motivation to switch from a career in virus research to one in cancer. Frustrated by the lack of treatment options available to his dad, he decided to move to the Cancer Research UK Cambridge Institute to answer some of the questions he had. 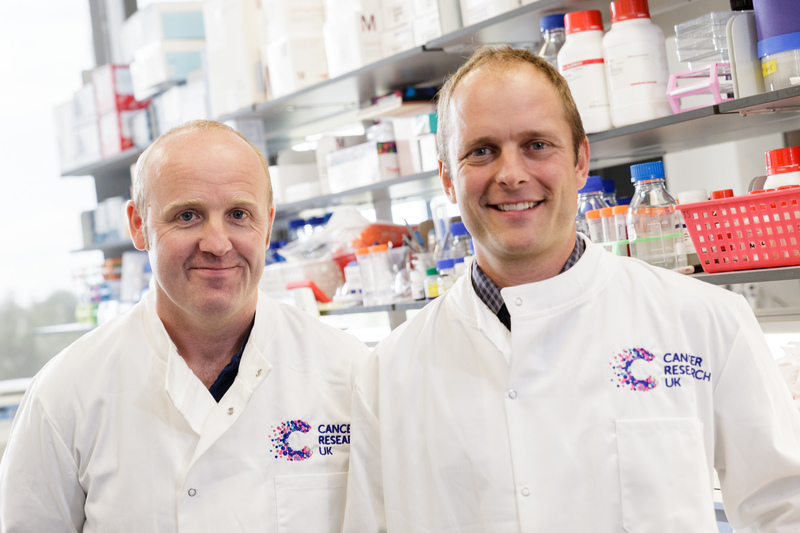 Late last year, he was part of a team awarded a Cancer Research UK Pioneer Award. These awards support the development of innovative, higher risk ideas that could revolutionise our understanding of cancer. 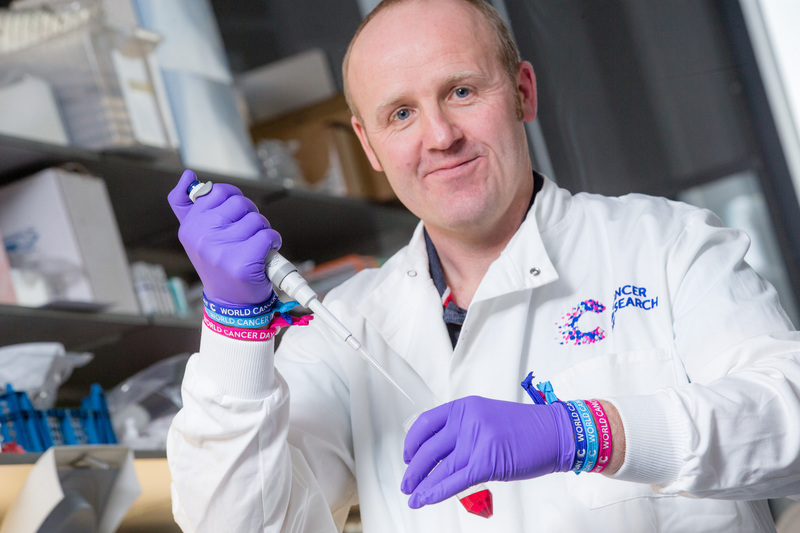 Now, Dr Mike Gill is urging people to wear a Unity Band this World Cancer Day, Monday 4 Feb, to show support for vital cancer research. It can be worn in memory of a loved one, to celebrate people who’ve overcome cancer or in support of those going through treatment. This powerful accessory in the fight against the disease, raises money through donations to help fund crucial cancer research. Mike, who’s originally from Middlesbrough and now calls Cambridge home, knows how important fundraising is. His work is supported by Cancer Research UK; the charity receives no government funding and relies on vital donations from the public. And on a difficult day in the lab, it’s remembering his dad that gives him the motivation to keep going. Mike said: “For me, as a scientist, I found it very frustrating to hear how there was nothing that could be done for my dad. His cancer had come back and radiotherapy didn’t help him second time round. They said the only option was palliative care. You’re thinking – there has to be something we can do, there has to be things we can try, radical things maybe, something they haven’t tried before. Mike had been researching herpes viruses before his dad’s diagnosis. It was a job he enjoyed but seeing the impact of cancer first hand motivated him to change roles. Mike said: “My dad had a cough that wouldn’t go. His symptoms were there but he didn’t listen to them. My sister made him go to the doctors. They sent him for x-rays straight away. The cancer was so extensive that his lung looked white on the x-ray. “It woke him up, he had been very depressed after losing my mam. The diagnosis got him back to his old self. He started getting out with his friends and back into his old hobby of pigeon racing. 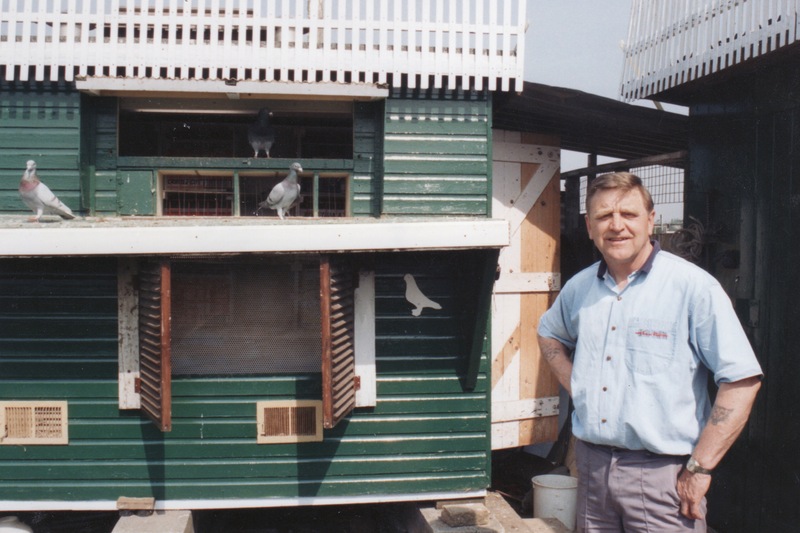 He used to love pigeon racing, I’d go with him to the lofts when I was younger. He stopped after losing our mam. When he got back into it, he spent all day with those pigeons, it was his passion. It was nice to see him living again. Mike rarely takes time off and is determined to make progress but it can be a lengthy and challenging process. On a difficult day in the labs, it’s his dad he will think about. Mike said: “It never leaves you, you move on and try to have fun and a good life but there is no part of you that can ever really forget what you went through. It’s my incentive now, thinking of my dad. Danielle Glavin, Cancer Research UK spokesperson for Cambridge, said: “Banding together on World Cancer Day is a unique way for people in Cambridge to unite with the researchers like Mike and cancer patients around the world. It’s a chance to show that together, we will beat cancer. 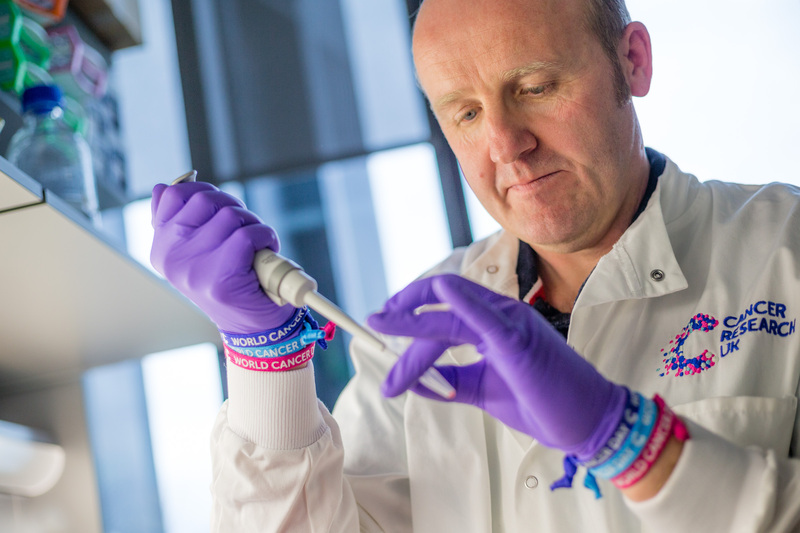 Last year, Cancer Research UK spent over £54 million in Cambridge on some of the UK’s leading scientific and clinical research - helping more men, women and children survive cancer.